The phenomenon that left scientists stumped for nearly 70 years. Death Valley is known for, well, death. There’s not a lot going on there aside from a few ghost towns and an occasional wildflower bloom. 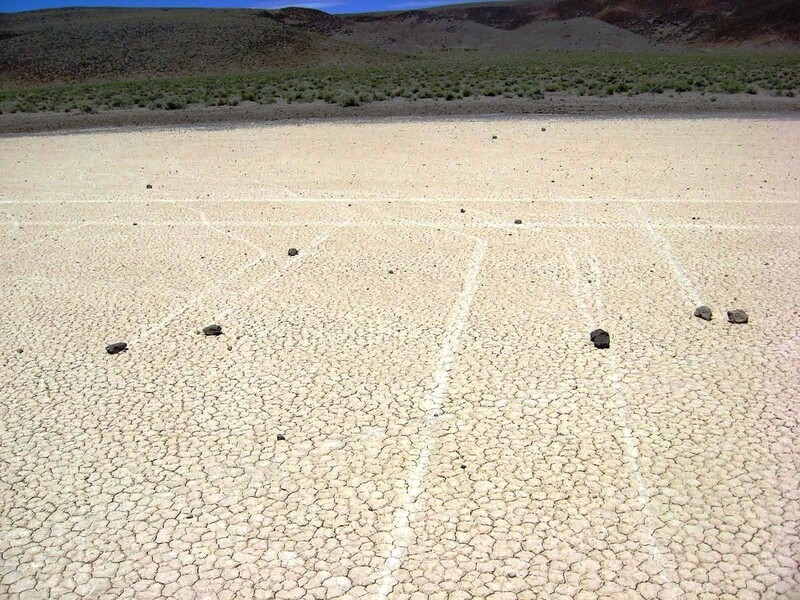 Oh, and a fleet of rocks that are slowly making their way across the desert floor. 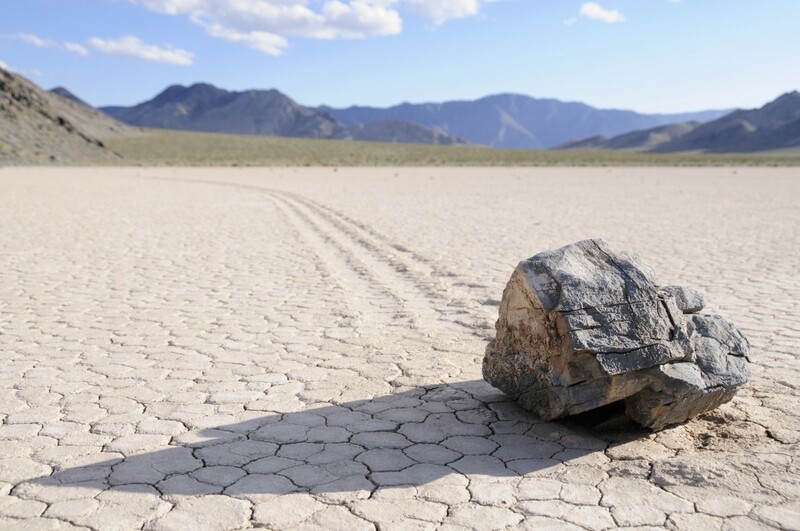 Yes, rocks are somehow moving — very slowly, as rocks do — across Death Valley’s Racetrack Playa. The area is a long-dried-up lake that has an almost flat surface, perfect for sliding stones. The moving rocks leave trails in the dirt behind them, which first led to the strange discovery in 1948. More recently, scientists installed GPS trackers on sample rocks to study their movement. In the winter of 2014, after nearly 70 years of watching and waiting, a group of researchers actually witnessed the rocks in motion. The group installed a weather station on the Playa to track the conditions and record the surrounding area and the station’s video feed captured the breakthrough. 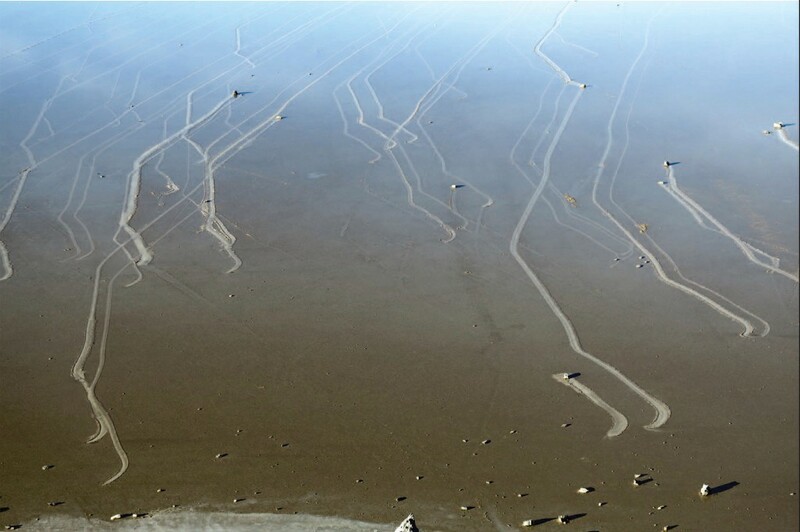 A shallow pond from snow and ice melt covered the Playa. The pond was deep enough to allow the top layer to freeze, but shallow enough that some of the rock was still above water. The frigid nighttime temperatures froze the top layer into a thin sheet of ice light enough for wind to move, but strong enough to push the rocks. The next day was sunny and the warmth broke up the large panes of ice. A light wind pushed the chunks of ice through the water. When sheets of ice came in contact with stones, they slowly pushed the rocks until they dislodged and the ice sheet moved on around them. This video is sped up 8x to clearly see movement since the rocks moved just 6–20 feet per minute. Researchers noted the video is also unique because of the stationary rocks in the background, without which, the slow movement would be much harder to detect. Before this groundbreaking discovery, researchers thought hurricane-strength wines were to blame. Instead, the mysterious moving rocks were gently pushed by sheets of ice on a sunny afternoon. The ice sheets also explained why some rocks followed the same path — since one large ice sheet could push multiple rocks — and why this movement could have such drastic changes in direction — since the ice was at the whim of wind patterns. 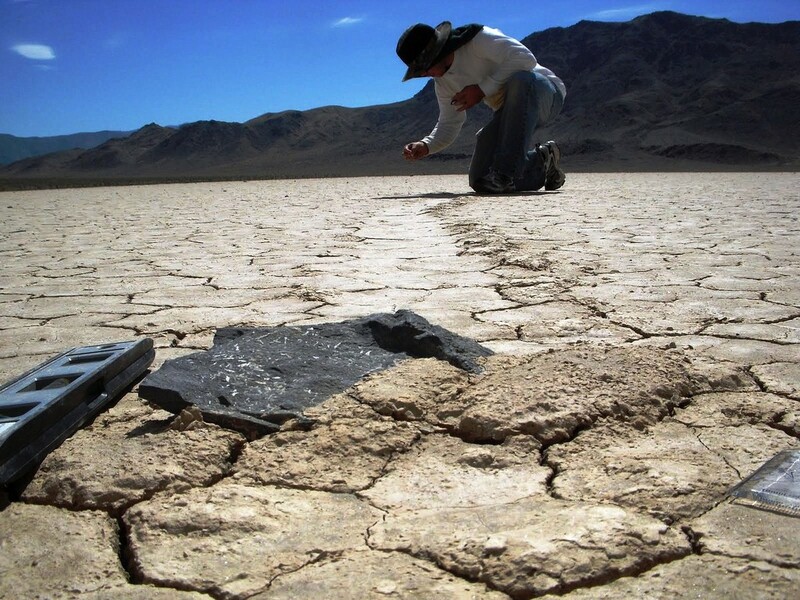 So after 66 years believing aliens or desert tricksters were behind the moving rocks of Racetrack Playa, it turns out ice was pranking us the whole time. Very cool.